ADAP is for the advanced player, boys & girls ages 7U-8U (born 2011 & younger) seeking a higher level of training and competition more than rec. soccer can provide. 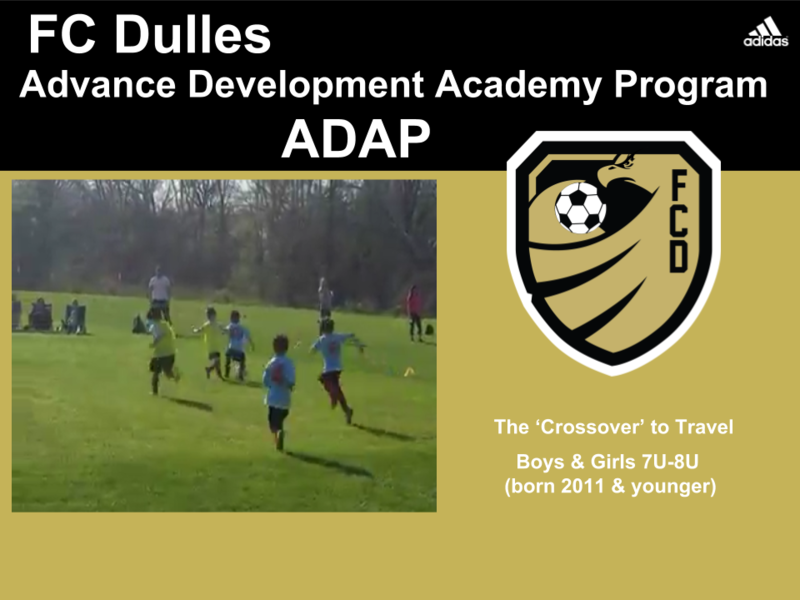 An FC Dulles ADAP player loves the game of soccer and is passionate and committed to learning and improving to become a better player. We will be conducting evaluations for the Spring 2019 season in early March 2019.